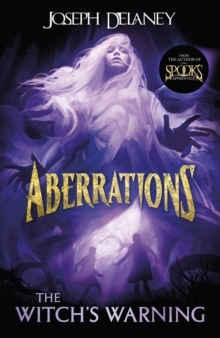 A gloriously spooky horror-fantasy story from Joseph Delaney, the internationally multi-million bestselling author of The Spook's ApprenticeCrafty halted, his heart lurching with fear, his mouth dry. There were bare footprints in the white snow, and each one was smeared with red, as if the owner of those clawed feet had stepped in a puddle of blood . . . Crafty and his friends have already faced dozens of horrifying aberrations during their time as Castle Gate Grubs - assistants to the mysterious guild of Gatemancers, who fight against the terrifying Shole. But the real battle is only just beginning. New and more dangerous aberrations are appearing all the time, and worse yet, it seems someone from within the Castle is helping them attack. And when an old enemy returns to give Crafty a disturbing warning, it seems time might be running out for all of them . . .